Chief Cash has been in the fire service since 1995 starting as a junior volunteer firefighter and currently serving as Assistant Chief of Training and Safety with the Cherryville Fire Department in Cherryville. 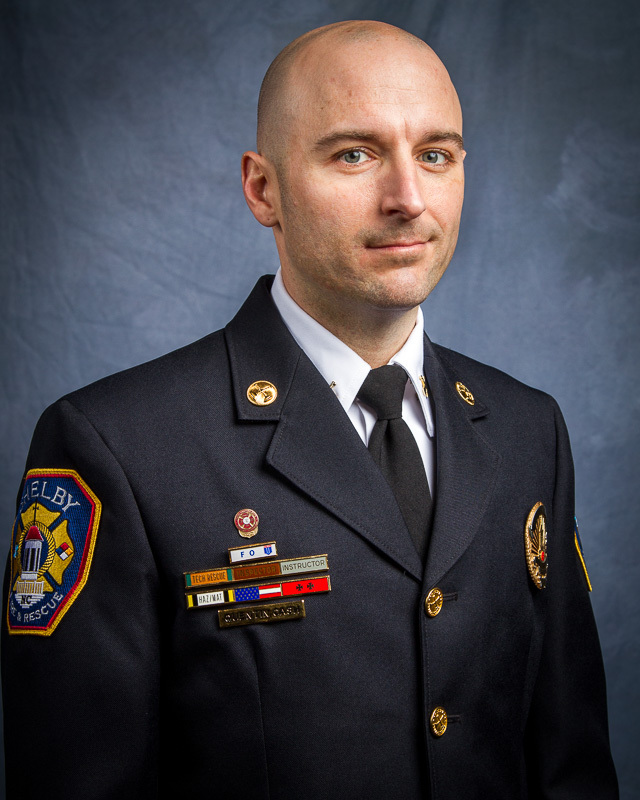 He began as a career firefighter with the City of Shelby in 2005, where he currently holds the rank of Battalion Chief of Operations over A-Platoon since 2015. Chief Cash holds a Master’s of Business Administration from Columbia Southern University, a Bachelor’s of Science in Political Science concentrating in Town, City, and County Management degree from Appalachian State University, and an Associate’s degree in Fire Protection Technology from Cleveland Community College. He is a graduate of the North Carolina Association of Fire Chief’s Executive Development Program in October 2015. He received the NCSFA Firefighter of the Year in 2015, and he was awarded his Fire Officer Designation by the Center for Public Safety Excellence in 2015. Chief Cash currently serves on the Cleveland County United Way Fund Distribution Panel as well as serving as Co-Chair for the City of Shelby’s United Way Campaign. He is a volunteer with the Cherryville Little League program serving as a Board Member and Umpire Coordinator in the past. Last, he is a member of First Baptist Church in Cherryville. Chief Cash currently resides in Ranlo with his lovely bride Erin. They are currently working towards starting their family and enjoy traveling around the country and the Caribbean together.